Space might be the final frontier, but NASA is making a detour into augmented reality first. The Spacecraft AR app, developed by NASA's Jet Propulsion Laboratory (JPL) in collaboration with Google, debuted exclusively for Android this week (an iOS version is also in the works). 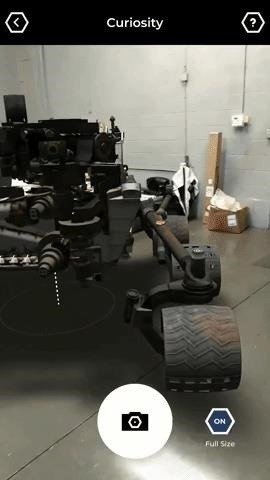 Using Google's ARCore toolkit, Spacecraft AR allows users to place and manipulate 3D models of NASA's Mars Curiosity rover, Juno, Cassini, Voyager, and the massive Deep Space Network dish, all in AR. Future planned updates will bring more spacecraft models to the app. 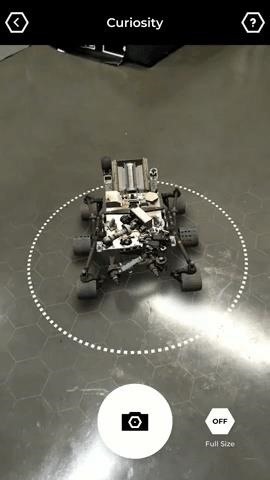 "The Spacecraft AR app is an exciting new way to get up close and personal with NASA's robotic missions," said Kevin Hussey, the manager of JPL's visualization team, in a statement on NASA's website. "We can't wait for people to try it, and we're looking forward to adding many more spacecraft to the app in the future." 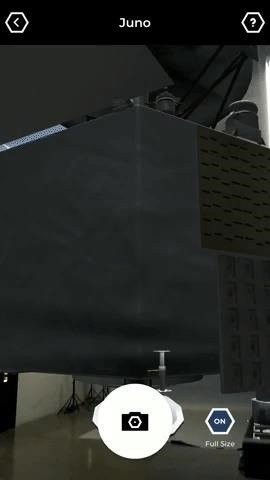 Users can view the models in miniature scale or life-size (with the exception of the 70-meter-wide Deep Space Network dish, which is only viewable in tabletop size). But be forewarned, you'll need a large space in which to view the considerable size of these machines in full. 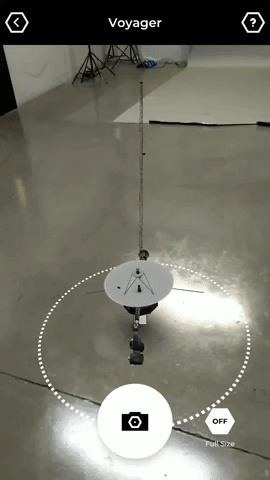 JPL has previously developed a marker-based AR experience for iOS and Android. But the ARCore development is a welcome improvement, particularly in terms of printer ink conservation. I have often thought about the jealousy that some Android users have for iPhone owners, given all the ARKit goodies available to iOS users. Now, it seems that the tables have turned, at least for the moment, as several apps, including offerings from eBay, Lowe's, Jet.com, and Sotheby's, among others, have debuted on Android and left Apple fans wondering if they'll get their hands on some the AR goodies now exclusive to Android devices.